We are excited to hear that CL:AIRE has now published the Joint Industry Working Group Asbestos in Soil and Construction and Demolition Materials guidance, titled “Control of Asbestos Regulations 2012: Interpretation for Managing and Working with Asbestos in Soil and Construction and Demolition Materials: Industry Guidance” (shortened to CAR-SOIL TM). This document has been prepared with the support of the Health and Safety Executive and gives thorough and authoritative guidance on how to comply with your legal obligations when working with Asbestos in Soils through all stages of the site remediation life cycle. 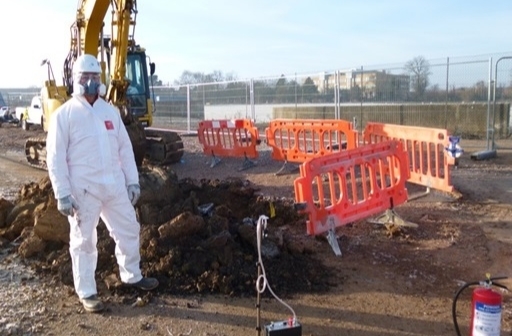 As a responsible contaminated land contractor, VertaseFLI have significant expertise and experience in this area and as well supporting and contributing to the guidance we hope it results in safer working practices throughout the industry. If you wish to discuss the implications of this document for you or a client, please call Steve Edgar on 01246 813289 or Mike Longman on 01275 397600.